The biggest news to hit the data centre universe lately is surely that Netflix, after seven long years, is finally shutting down the last of its data centres in a bid to host nearly its entire offering in the cloud (Amazon Web Services, specifically). The move has made the headlines big time, positioning Netflix as a cloud pioneer and AWS as the Holy Grail, but the real question that sprang to mind when the headlines emerged was this: Was it really such a surprise? Furthermore, why did it take seven years to make this move? The headlines are heralding the approaching “shutting down of the final Netflix datacentre,” as though it’s a monumental move, which should really prompt us to ask: why is one of the world’s largest home streaming video businesses opting to offer its services via one of the world’s largest public cloud providers such a big deal? why is one of the world’s largest home streaming video businesses opting to offer its services via one of the world’s largest public cloud providers such a big deal? Netflix is only doing what other companies have been doing in droves for several years: moving to the cloud. And while “the cloud” may seem the solution to an array of problems presented by aging, expensive and underpowered datacentres, when we refer to “the cloud,” what we’re really talking about here is just another collection (albeit much bigger and fully serviced) of datacentres. In this case, it just happens to be owned and run by Amazon. But Why did it Take Seven Years? Seven years ago Netflix had only been in the video streaming business for two years and the demand these services was not near high enough to consider branching out beyond its existing infrastructure. Perhaps the more relevant question is this: how long would it take a similar sized provider to move its services to the cloud starting in 2016? And, perhaps more importantly, would they do it in the same way Netflix has? The Netflix migration story is an interesting account and one any technologist would like to hear more about, but it’s not a typical migration story. It’s a great testament to Netflix that they were able to actively transform themselves this way, building a new infrastructure and achieving continuous delivery on so many levels while at the same time scaling and moving piece by piece to the cloud. The ability for a company to fund a re-design of their entire application landscape is unusual, and strategically is the right thing to do – as Gartner talks more about datacentres of micro-services in the same way. However, in comparison to other large enterprises that have been around some time, Netflix is very new, and so to re-architect everything would be relatively simple as the company wouldn’t have any significant legacy apps. More established companies are not looking to downsize their datacentre footprints as such because in the majority of cases, it’s unlikely such a move is needed. Most large enterprises are happy with the solution they already have, which is often a hybrid cloud infrastructure that makes best use of all worlds. The cost of moving entirely to the cloud could well be astronomical, which makes it all the more unappealing. Beyond this, most companies that are older than seven years’ old have legacy applications that are simply not cloud-friendly. Such organisations will leverage the commodity nature of cloud providers (burst and retraction of compute and network capacity as two examples) for specific applications, rather than shoe-horn every system into a service model that wouldn’t be appropriate for a proportion of their systems. Will it take seven years? No, because unlike Netflix, most companies are selective about what they migrate to the cloud, rightly recognising that the cloud is not suitable for every application that they host within their datacentre. The best approach would be not to fork-lift applications directly into the cloud, but to select those that are easy to move and provide best value. Planning for this to take months, rather than years should be the expectation. If you’re an established organisation, moving everything to cloud is sub-optimal in the same way that holding everything in-house is also not the best application and value strategy. 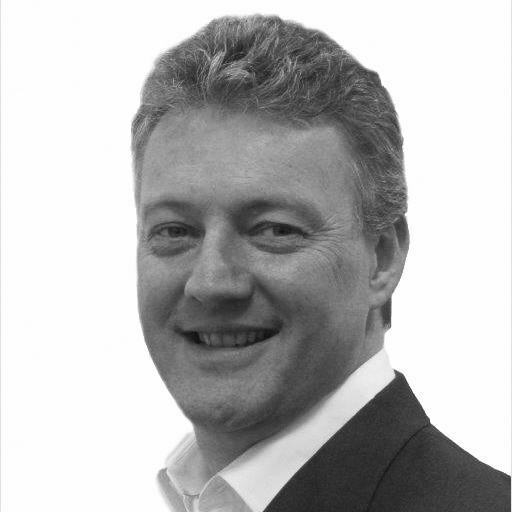 Simon Johnson, Practice Director, Migrations, Xceed Group Simon Johnson has been Practice Director, Migrations, for Xceed Group since 2014. Simon is a seasoned Migration Programme Director with over twenty years’ experience spanning both the business application and infrastructure aspects of migrations. He has a broad infrastructure technical knowledge and extensive practical experience of managing large-scale datacentre and desktop migration programmes. His experience has been gained across a range of business sectors, from finance and insurance, to publishing and travel.